Mad Men Football is one of the most intriguing recent reveals for the Wii U eShop, with developer AE Games initially grabbing attention with a call-to-arms for smaller developers to step into the places vacated by some major third parties. That aside there's a game in the works, nevertheless, which promises high impact Gridiron with "an historical twist". This American Football game certainly sounds like a throwback to some of the wackier sports games we may have seen in the past, even if the studio is still currently in the developer approval process with Nintendo. 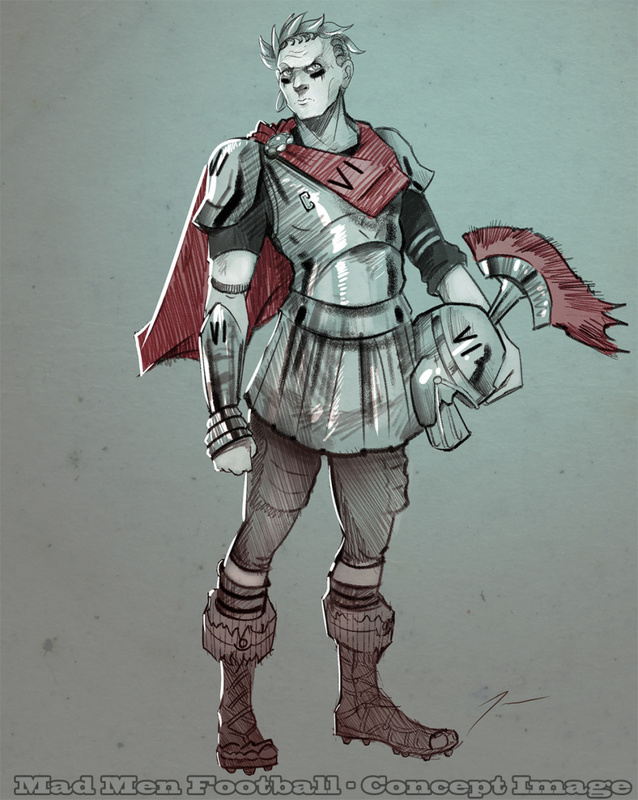 Despite this David Tenorio, the concept artist for the developer that previously produced an image of George Washington for the game, has given us an early look at the next confirmed character — Julius Caesar. The Roman Emperor will, we'd imagine, be quite imposing on the football field. Further details will surely emerge down the line once the studio has secured its developer status, though it's been keen to emphasize the legitimacy of its project. We'll see how well Mad Men Football delivers on its promise of a fun Gridiron game, and we'll be curious to see how these historic leaders will feature. We wouldn't want to mess with Caesar's defence line-up, anyway. Caesar Salad joining the fight! It's not that I don't believe this game will ever be made, it's more so that I think there are probably thousands of people who want to be game developers and have drawn a picture, so I don't know why this one gets coverage. If it's anything like tecmo bowl and nothing like an EA game, it'll be a day one buy. Looks really cool! I like the Ceasar design a lot! I want to see some gameplay. Is it April 1st yet!? The guy 'developing' this game has a crappy looking website, no Nintendo development approval, and has only posted two crappy sketches as proof of this game's existence. I could literally lay claim to those same credentials in a couple hours....so when can I expect to have an article posted about my game?? I'm gonna be honest I have zero expectations for this game. @Jazzer94 and I have minus 9000 espectations in it. Don Draper in a football helmet. So they can draw two of these undetailed sketches of the characters in two months but they can't make a decent-looking teaser for the game? This picture is from their official website. @CaptainSquid You're joking right that looks like something a kid mocked up. @JohnRedcorn Depends whether you say you are making a Metroidvania with strong Megaman influences. (Which in the end can be absolutely anything). Then a few days later do a Kickstarter. @Jazzer94: Unfortunately, no. Scroll down until you see it. Close. 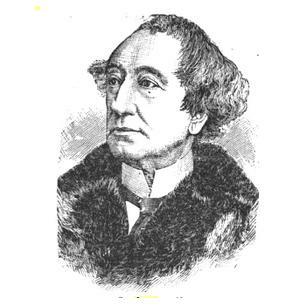 It will be a Metroidvania game where you play as Sir John A. Macdonald, the first prime minister of Canada. @GuSilverFlame @CaptainSquid Well after looking at their website my expectations lowered to -1000000. Sir Copyright Infringement used "Cease and Desist Order"! It's super effective! Seriously, I like the game concept, but there is no way they'll get to keep the name. Both EA and AMC will come after them. You would think for a video game company they would have a better looking website than what they have. I wonder... if someone had shown Julius Caesar a glimpse of the future, and allowed him to see what life would be like in 2,000 years, what would be his thoughts on reducing his "honor and divine leadership" to nothing more than a comical video game character? He'd probably have had that person thrown to the lions in the Colosseum lol, "this is an outrage!!!" UPDATE: @Klimbatize has been confirmed as an unlockable character! Just waiting for AE Games to come out and say "Hope you liked our attempt to look amateurish, but you know, things aren't always what they seem. ", to which the website goes into professional mode. Wow, all of you guys focusing on the website visuals and calling the developers amateurs seem like a bunch of can't-swear-in-the-comments. How about giving the guys some positive reinforcement? @Warbeard Heh, it is pretty skeptical to say the least that his portfolio isn't very promising or at the very least ....there at all. @Philip_J_Reed Actually, I'm first day, paid DLC. I don't know. This could be a prank on Wii-U owners. @Warbeard The kicker though is from his speech that he'll be providing game for the little console that could (WiiU) that was apparently the main target of the day. Besides the fact that he needs a graphic designer ....like NAO I'll count down the days he shows us a game that surprises us all!.....for better or for worse or that he folds. Heh, he probably needs all the support he can get though i do see this isn't how it's supposed to be done ,if anything it's discouraging wherever you have something to prove. Like the news quote said "Rome wasn't built in a day." @Warbeard: the poor guy* — I believe from the website that it is simply one person and an artist that he recently got for the art. He claims to have contacted a voice actor, but we'll know if that's real later... Anyways, I get what you're saying, but 'positive reinforcement' ought to only be given unless I've actually seen something from the game; as it stands, all we have is George 'n' Julius. I want to see gameplay before I start getting excited. @CaptainSquid I saw this image as well on their official site. You should also note that the founder of AE is not a graphic artist but more of a programmer and stated that he was getting an artist to begin making the concept art. I still agree with you that this image is terrible! But, the concept art gives me some type of hope for this game not being atrocious. I hope this comes out for real, just so it'll shut some people up. @Warbeard You're absolutely right that people should be encouraged instead of bashed when they are pursuing their dreams or goals. For my part I extend my sincere encouragement to the guy. Keep working on what you love. My skepticism is not directed towards him in any sort of negative way. I simply don't understand why NintendoLife has singled out this one person with only an idea to continue to talk about. There are lots of people who haven't made games before who have ideas. At the very most this seems to deserve perhaps 1 feel good story about an amateur's dream, not a new article for character reveals like this is Smash Bros. I just hope that if there's another article about the game, it's that the guy wowed Nintendo with his alpha build of the game and got his developer approval. Not that he paid someone to sketch Abraham Lincoln. I for one know nothing about game development, with that said I love the concept and the sketches so far. Keep up the great work! There are only 2 kinds of people in the world dreamers and haters. I doubt it'll happen, but EA can retaliate back by actually giving WiiU owners Madden this year. Julius Caesar was never emperor of Rome. For shame Nintendo Life, for shame. The European tradition and legacy of the site is shedding a tear right now. 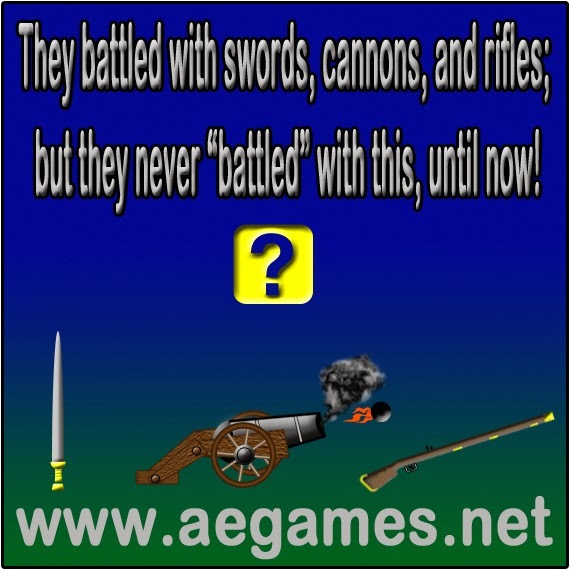 Oh no, it's such a shame that a GAME developer, who is very early on in the procress of making their first GAME hasn't put any effort into the website, even though they are not WEBSITE developers. If Caesar gets tackled by Gaius Cassius Longinus and Marcus Junius Brutus I hope the ref checks for stab wounds. 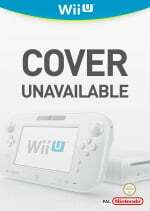 I'd like to think Nintendolife aren't telling us something important - like the developer is an established (or at least experienced) name subverting our expectations with godawful imaging skills like the one earlier in the comments, before releasing an awesome game down the line, but I really can't see that being the case. In any case, it's far to early to be showing off the project. If all we've got is two pieces of concept art, then the game will need at least a full year of development before it'll be ready to be released. If this developer has the skills, then they should have kept it under their hat for a bit longer. They aren't Konami or Capcom. No-one's going to give a toss about their project at this stage. They want to call this 'Mad Men Football' then there will be trouble. It sounds a lot like 'Madden Football', an extremely well known gridiron video game franchise. They will be lucky to get the ball over the line. If he can't make a professional looking website, what hope is there that he can produce a video game? Let alone one that gets publishing approval on the Wii-U? There has been no evidence yet that this game even exists, yet this is like the fourth article about it! Very embarrassing. So are you telling me my upcoming game "Breaking Bad Golf" could run into some legal trouble? Hmmm....maybe I will just call it "Diff'rent Strokes" instead. You're all getting trolled lol. Seems a bit over-hyped at the moment. @JJtheTexan there was a n64 game and a TV show both called "another world" there's a million shows and movies called "imaginarium" there's two shows called "the newsroom," there's a movie and album called "in dream"' and theres a billion books and movies that straight up have the same name. Including several movies named "troll 3"
All those were released just fine.